I joined the United Nations Stabilization Mission in Haiti as a UN Volunteer one year after the devastating earthquake that struck the country in 2010. Port-au-Prince, Haiti: I joined the United Nations Stabilization Mission in Haiti (MINUSTAH) as a UN Volunteer one year after the devastating earthquake that struck the country in 2010. This tragic event motivated me to dedicate my time and experience to help restore a secure and stable environment in Haiti. I now serve as a UNV Water Sanitation Engineer, supervising the water quality control laboratory and the installation of relevant water treatment plants. Haiti is not my first experience in a location affected by a major natural disaster. After the 2004 earthquake that hit South East Asia, I was part of a team supervising the water and sanitation system, quality of water supply, drainage, shelters and infrastructure with several international organizations in Aceh, Indonesia. This gave me the opportunity to learn a great deal about emergency preparedness. One important aspect of my work is the assessment and control of drinking and waste water quality in every United Nations camp. The main challenge is the difficult access to some premises. Many camps are located in remote areas that can only be reached through dirt roads, sometimes blocked by landslides. I naturally like sharing my skills and experience with others. In Haiti, I have the privilege to be part of a very supportive team of national staff who are eager to learn and improve their capacities. I always encourage them to take part in on-site and external training activities. I attended a Water Sanitation training in the Democratic Republic of the Congo with one of my national colleagues, and we also invited trainers to the MINUSTAH premises to share knowledge with more professionals. These activities have increased the level of autonomy and confidence of my national colleagues. On a professional level, my UN Volunteer assignment has allowed me to learn more about how to manage Drinking and Waste Water systems following the standards of the World Health Organization and the United Nations. On a personal level, what I will always remember is the resilience and dedication of the Haitian people. 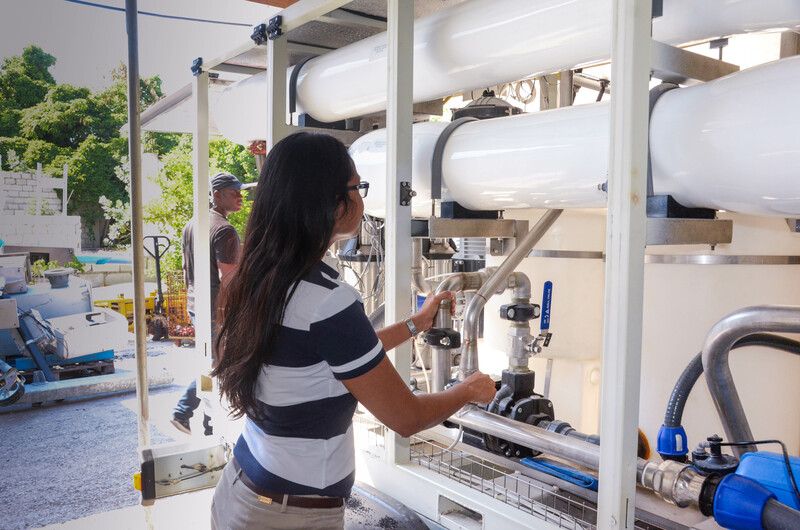 Biography: Riza Elfina is a UN Volunteer serving at the United Nations Stabilization Mission in Haiti (MINUSTAH) as UNV Water Sanitation Engineer. She graduated as a Civil Engineer from Muhammadiyah University in North Sumatra (UMSU), Indonesia. During her studies, she was one of only three women, out of 30 students attending the course.